The Orchesis Dance Company rehearses and performs various styles of dance including jazz, hip hop, contemporary, lyrical, ballet, pointe, tap, and partner. The company includes students from all grades, selected by audition of technique, skill, and performance. The program provides a unique opportunity for students to choreograph for the Orchesis Dance Company Showcase. 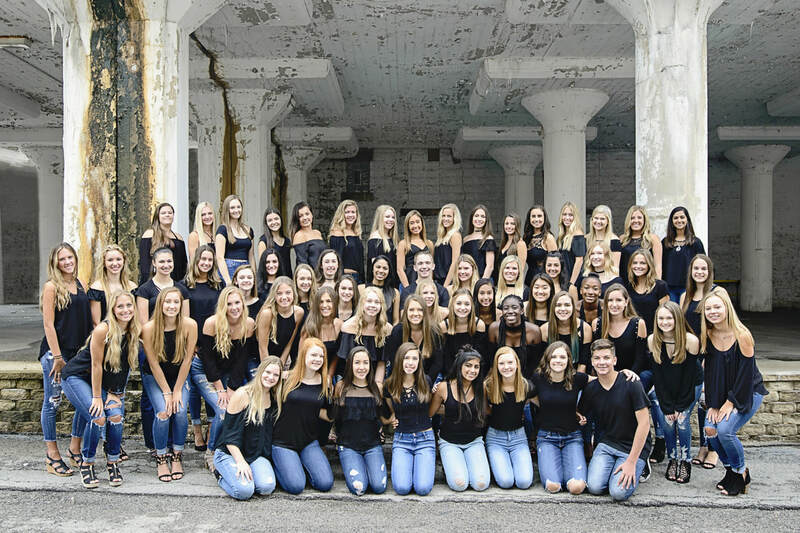 Dancers rehearse from August through March to prepare for multiple performances throughout the year: Neuqua Knows It Can Dance, Fox Valley Showcase, Variety Show, Kathryn Bender Dance Showcase, and Orchesis Dance Company Showcase. Orchesis was by far my favorite memory throughout high school. I have made friendships incomparable to any others through the company. Orchesis also opened up many opportunities for me to be able to choreograph pieces and learn to handle a lot of responsibility. An Orchesis relationship is different than any other and will always be irreplaceable. Being on Orchesis has been one of the best parts of high school. It's so great to find people at Neuqua who have the same passion for dance as me. Being on the team has given me amazing friendships, and the chance to express myself through dance. Sharing the stage with such dedicated dancers is an experience I will never forget and high school would not be the same without it. Orchesis has been a huge part of my life for the past 4 years. Being able to learn from various choreographers makes Orchesis very unique and gives the members of the company a great opportunity to try new styles. I have been so blessed to have able to choreograph many dances and share my love of dance with my teammates. The most rewarding part of Orchesis is our show because we get to show the school what we have been working on.